In the world of the hybrid, there are a few different contenders that may give a slight bit of excitement to even the most confident of drivers because of its incredible fuel efficiency ratings as well as its impeccable handling. When the Prius first came out, it was a segment-first and there weren’t many vehicles that could keep up with it. However, in recent years there have been a few that tried to give it a run for its money, such as the 2015 Toyota Prius vs 2015 Ford CMax, but none can match the Prius in terms of efficiency, affordability, versatility and usability. You just won’t find a vehicle that can beat the Prius. Trust us. We compared the 2015 Toyota Prius vs 2015 Ford CMax and found that it while you may find the CMax is slightly cheaper in terms of a starting MSRP, what you won’t find with the CMax is Toyota’s elite technology and manufacturing techniques. After being on top for a number of years, Toyota learned to master the art of the hybrid vehicle and that’s not something you want to mess with. It comes with impressive technology, is incredibly comfortable for both driver and passengers, and on top of that, is super safe for everyone. Check out all of the models and colors we have in our inventory today by clicking on the link below! The Prius is one of the most efficient vehicles you will ever see, and with its reputation as being the first hybrid to make hybrids popular, it has a big reputation to uphold. The 2015 Toyota Prius Brampton ON is just as capable and qualified to get drivers across city streets in a desirable amount of time as any other vehicle, and it will use even less fuel. Some of our favorite features of the 2015 Toyota Prius that you won’t find anywhere else include a 4.6L fuel efficiency rating with a 1.8L Hybrid engine. 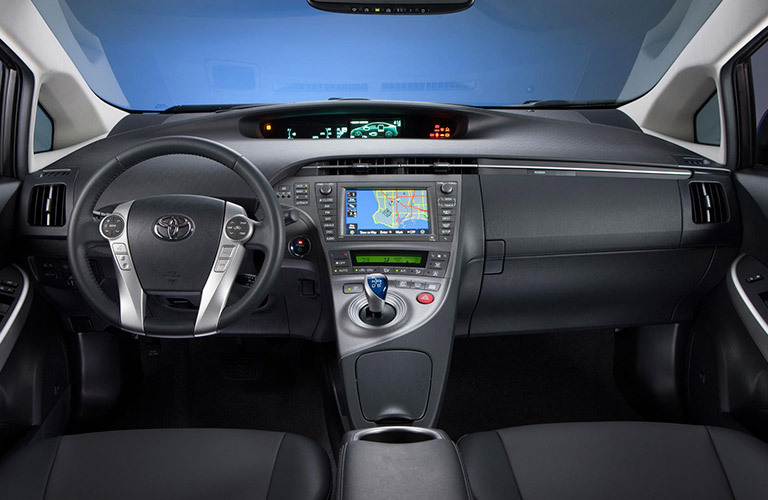 The 2015 Prius also comes in an all-electric model, which only uses electricity for the vehicle to run. This means you can plug your car in to charge and you are good to go, rather than having to fill up your vehicle with fuel. However, if you choose to get a model that uses fuel, the Prius still uses much less of that than many other models. Some of our other favorite features include a rearview backup camera, a push-button start engine and Bluetooth connectivity capabilities. You can get the 2015 Toyota Prius today at Attrell Toyota!